The Transformers The Movie Event will catapult audiences into the super-charged, action-packed Transformers universe, and enables lifelong fans to relive the excitement and awe of this 1986 animated feature, just months before Bumblebee, the new live-action feature film set in the year 1987, hits theatres everywhere in December 2018. This special event is a collaboration between Fathom Events, Hasbro Studios and Shout! Factory, and it will also provide moviegoers with a sneak peek behind the making of the Bumblebee feature film, and a brand-new interview with singer-songwriter Stan Bush including recent performances of the theme songs "The Touch" and "Dare." Moviegoers will be able to enjoy the film in approximately 500 select U.S. movie theatres. A complete list of theater locations will be available at Fathomevents.com. 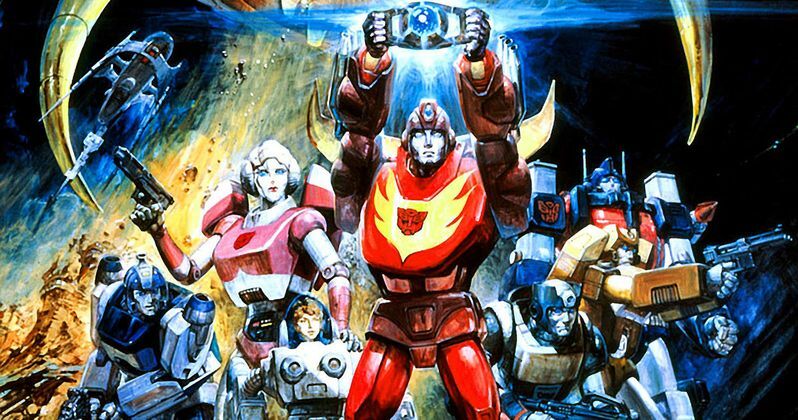 Transformers: The Movie has captured a special place in the hearts of millions and has been a staple in the pop culture zeitgeist since 1986. Featuring memorable characters from the heroic Autobots and villainous Decepticons, and thrilling action and a heartfelt storyline, The Transformers: The Movie is a cultural touchstone that spans generations. Beloved by legions of fans, this full-length animated adventure boasts the voice talent of Orson Welles in his final voice acting role and an all-star voice cast that includes Peter Cullen, Eric Idle, Casey Kasem, Judd Nelson, Leonard Nimoy, Robert Stack and Frank Welker. Tickets for this epic event will go on sale on Friday, August 3rd and can be purchased online or at participating movie theater box offices. The Autobots, led by the heroic Optimus Prime, prepare to make a daring attempt to retake their planet from the evil forces of Megatron and the Decepticons. Unknown to both sides, a menacing force is heading their way - Unicron. The only hope of stopping Unicorn lies within the Matrix of Leadership and the Autobot who can rise up and use its power to light their darkest hour. Will the Autobots be able to save their native planet from destruction or will the Decepticons reign supreme? Transformers: The Movie is co-produced and directed by Nelson Shin; produced by Joe Bacal and Tom Griffin; supervising producer, Jay Bacal; executive producers, Margaret Loesch and Lee Gunther; music score by Vince Dicola and Ed Fruge. Fathom Events is the leading event cinema distributor with theater locations in all top 100 DMAs® (Designated Market Areas) and ranks as one of the largest overall theater content distributors. Owned by AMC Entertainment Inc. (NYSE: AMC), Cinemark Holdings, Inc. (NYSE: CNK) and Regal Entertainment Group (NYSE: RGC), Fathom Events offers a variety of unique entertainment events in movie theaters such as live performances of the Metropolitan Opera, top Broadway stage productions, major sporting events, epic concerts, the yearlong TCM Big Screen Classics series, inspirational events and popular anime franchises. Fathom Events takes audiences behind the scenes for unique extras including audience Q&As, backstage footage and interviews with cast and crew, creating the ultimate VIP experience. Fathom Events' live Digital Broadcast Network ("DBN") is the largest cinema broadcast network in North America, bringing live and pre-recorded events to 941 locations and 1,496 screens in 181 DMAs. The company also provides corporations a compelling national footprint for hosting employee meetings, customer rewards events and new product launches.